These Invitations to Create from Mother Goose Time have been so cool for a number of reasons. 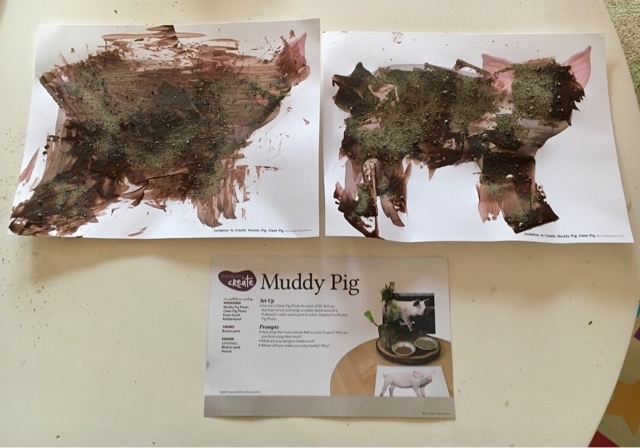 I still have a lot of thoughts to share on it, but for today's post, I just want to walk you through how I did "Muddy Pig." It was simple and sometimes I just love a simple project. Not lots of planning--just fun. I set up the area and had the kids go and find sand in the backyard. They both complained that they didn't want to get their feet dirty. I mean, really?! 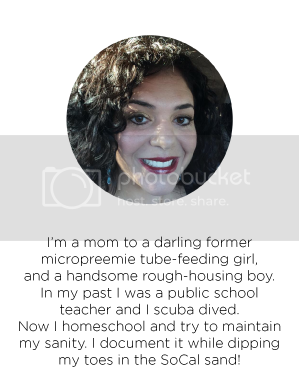 Homeschoolers are supposed to be walking around barefoot all day and doing homeschool-y things such as raising chickens and picking vegetables and living off of the land. Anyway, Strong B finally agreed to it and helped me set up. They didn't know what the foam was for, so I told them that it was a paintbrush, if that's what they wanted it to be. 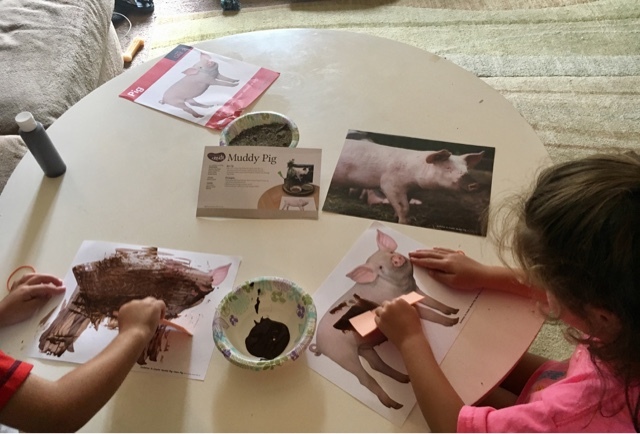 They started applying the "mud" (brown paint) to the pig and I put on our "On the Farm" CD because for some reason listening to the music for the theme makes the lessons even more fun than they already are. This is what Strong B came up with in about three minutes. He was done. 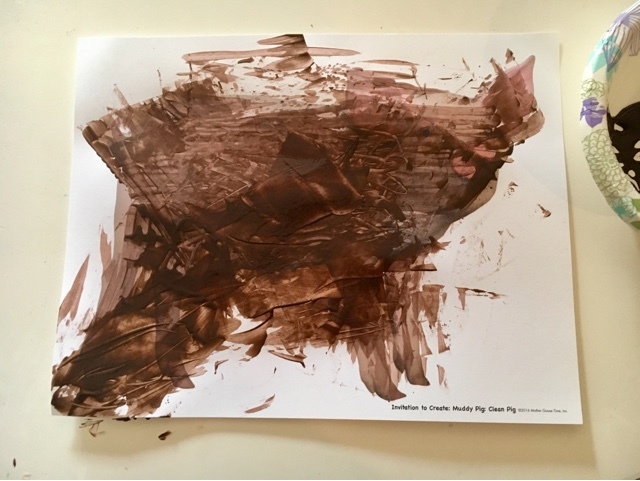 He said that he had put the mud on the pig and can he go and play now. 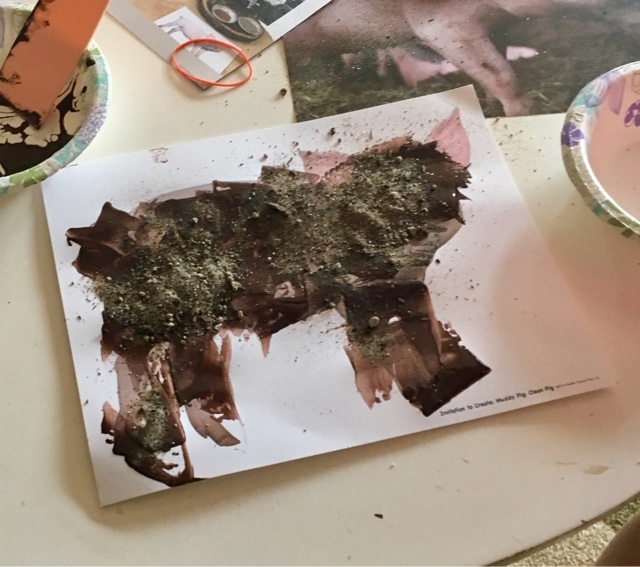 Until...he saw that Tiny B had sprinkled sand on her muddy pig and then he realized how super cool it is to use sand in an art project. 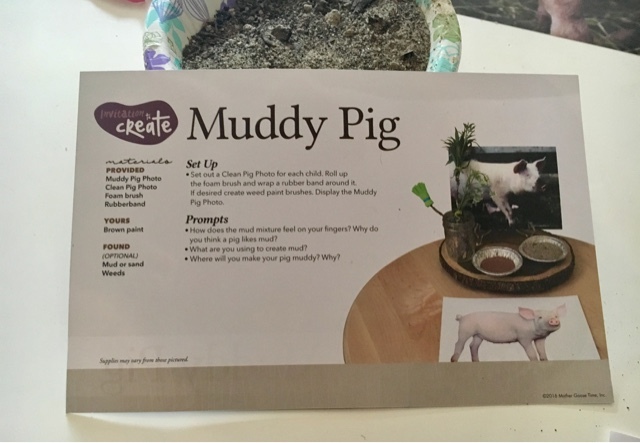 So he delicately covered his muddy pig in sand. 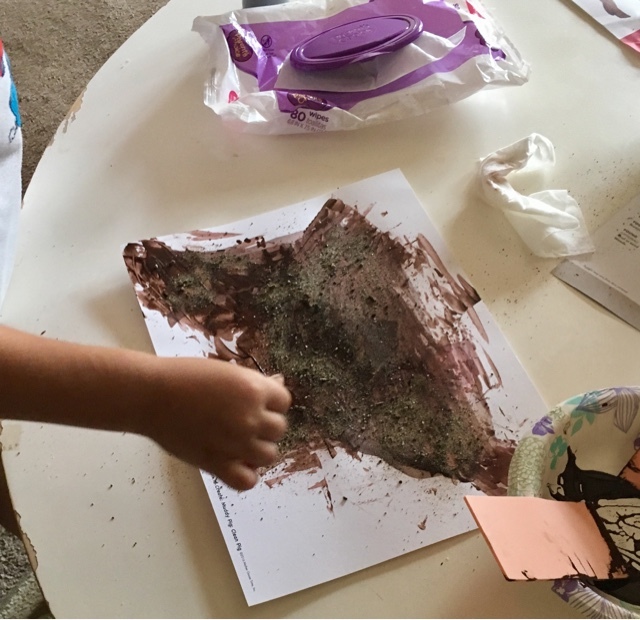 Isn't that an awesome fine motor activity? I love seeing him use his pincer grasp. He has these big puppy dog hands that are so cute and uncoordinated (much like every 4 year-old) and watching him pay attention to detail is definitely something new. And then they finished. 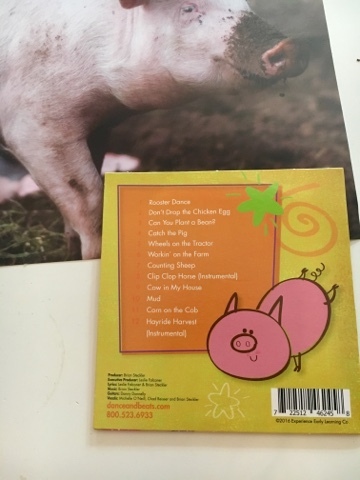 If I was to do this same project again I would ask them to tell me a story about their pig. I'm a big fan of extending activities, especially in the moment when they are excited.